Hair loss can be caused by inflammatory skin conditions, fungal infection and nutritional deficiency. Coconut oil is full of healthy fats, which nourishes the hair shaft and scalp, fights skin infections and reduce inflammation . When compared with mineral oil and sunflower oil, coconut oil came on top as the best natural oil for hair damage prevention . Coconut oil was also the only oil found to reduce protein loss and strengthen the shaft. Dandruff is a common chronic scalp condition marked by flaking of the skin on your scalp, which can be caused dry skin or fungus, among many other reasons . 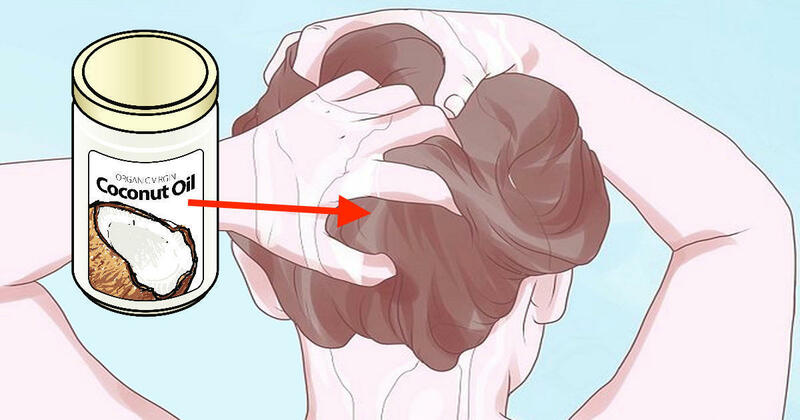 Coconut oil can actually treat dandruff by fighting fungal infection and hydrating dry skin. Coconut oil is often used to treat lice in small children because it hydrates the skin instead or irritating it. It even works against pesticide-resistant lice .